This year’s Reading Challenge is going well – I’m already five books in. I’ve previously reviewed Ryder Carroll’s The Bullet Journal Method and I’ll be sharing my thoughts on Jane Harper’s The Lost Man in a few weeks on the blog tour (spoiler alert: it’s awesome!). Today I’m sharing some mini reviews of the other three books I’ve read so far this month and it’s safe to say I’m reading pretty widely this year. I picked a bleddy beauty for my first book of the year: Reasons to Stay Alive by Matt Haig. It instantly became one of my favourite books and I really do recommend it to anyone and everyone. It’s one of those books that had been on my list for a while but just kept getting overlooked and I strongly encourage you not to make the same mistake. Haig’s memoir looks back at his breakdown at the age of 24 and tracks his journey to recovery. I’ve always been a fan of the quote ‘this too shall pass’ and that’s what this book is a wonderful reminder of. Even in your darkest days, there is light. It’s not forever. Seek help and you can feel better. 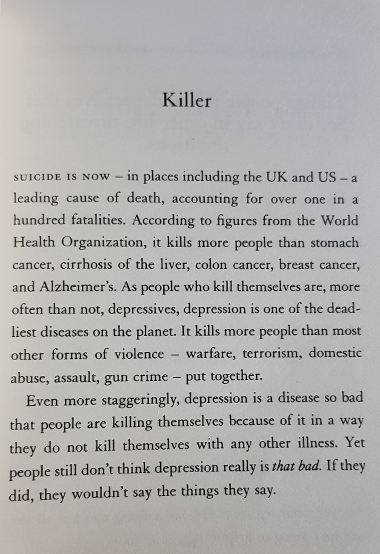 This book is a fantastic resource for anyone looking to support a loved one, or to share with someone who is currently fighting their own battle. I forgot to take a picture of the book before I returned it to the library but I did snap a few quote pics for my Stories. 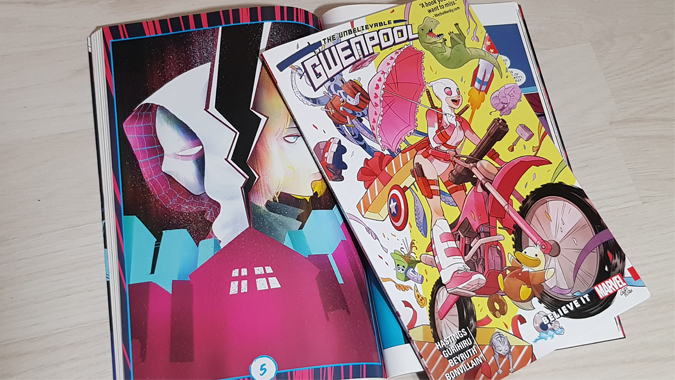 Luke bought me a copy of Gwenpool for my birthday, so when I knew I was going to finish a book on the way to work, I made sure to grab it for the journey back. Comic books are the perfect length for a single journey. I’m all about female-centric comics, having read the entire series of Ms Marvel to date, plus the first volumes of Alias, Spider Gwen and (Lady) Thor. I’m also a big Runaways fan (is the TV show worth my time?). The cover of The Unbelievable Gwenpool Volume 1 gives you a pretty good idea of how weird and whacky this series is. As with Deadpool, Gwenpool knows she’s in a comic and uses her knowledge of the Marvel universe to her advantage. It’s a fun read and I’m looking forward to more volumes. 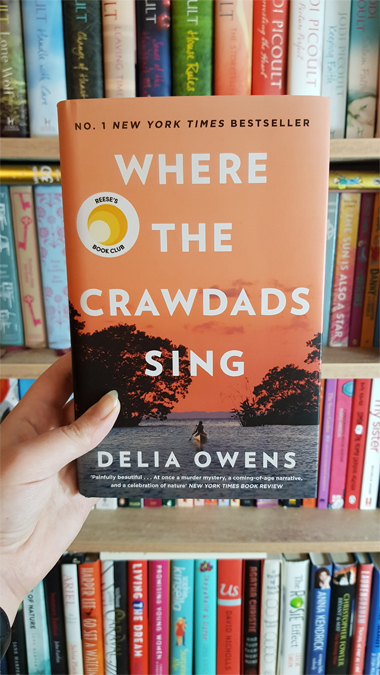 Where the Crawdads Sing* is published in the UK today but has already received huge critical acclaim and success. It’s a bestseller, reached number one on Amazon.com and was selected for Reese Witherspoon’s Book Club. Accomplished nature writer Delia Owens set her first novel in a small town in North Carolina. In 1969, a popular young man is found dead and local whispers immediately start suggesting Kya Clark, nicknamed by her unwelcoming neighbours The Marsh Girl. An outcast from childhood, Kya has survived alone in the marsh for years, abandoned by her family, vowing never to trust or rely on anyone again. But as she grows older, she longs for human contact, and when two young locals enter the marsh, Kya finds herself torn between two worlds, with heart-breaking consequences. I have to admit, when I started Where the Crawdads Sing on the way to work on Monday morning, I found it a bit slow. The beautiful prose was a bit much for me and it’s something I have to be in the mood for. However, by the time I got off the bus on Tuesday morning, I’d become entranced by The Marsh Girl and wowed by this stunning coming of age story. Left to fend for herself, Kya learns about the world by studying her natural environment. What she learns of relationships comes from studying wildlife and she feels more at home outdoors then she does in her rundown shack. Practically a wild creature herself, she’s a fascinating character, and one who will haunt you long after you turn the final page.